October 20, 2016 at 7:50 am. 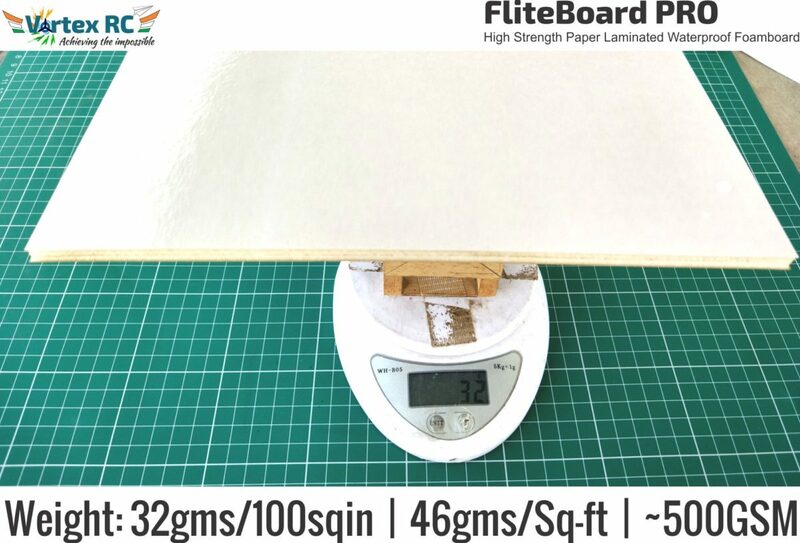 Introducing FliteBoard line of foamboards, which are lightweight, high strength paper laminated Extruded Polystyrene Foamboards, very similar to the popular DollarTree, Elmers, Adams Readi foam board, available in the US. Like many other fellow Indian aeromodellers, we, at Vortex-RC too had been searching for the Dollar Tree Foam Board, Flite Test Foam board, Adams Readi board or the Elmers board that is extremely popular in the US and has been used extensively by FliteTest across all of their models. 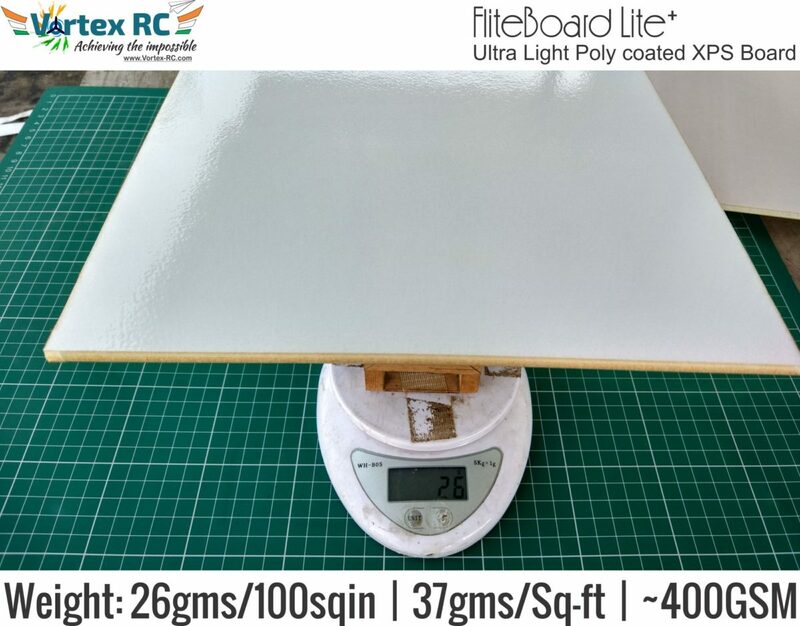 Since none of the above were available in India, ( the closest that was available was PVC based advertisement Sunboard, which was way too heavy to be any use for aeromodelling ), we started manufacturing FliteBoard which is lightweight, high strength, builds easily and rugged. FliteBoard Pro – Where strength is more important than weight. These would be available are webstore: www.vortex-rc.com very shortly. Cuts easily with a sharp knife. Sands well with a sanding block with 220 grit sandpaper. Can be partial cut (scored), allowing to be folded over. Can be bevel cut to make hinged control surfaces. Can be double beveled and folded to make smooth round/curved leading edges of wing panels. Score cuts allow The FliteTest A, B and C bends to be made. Much stronger than Depron. Typically Depron requires Carbon Fiber strips for reinforcement However the FliteBoards can be used without the expensive, and imported CF. Much more crash resilient than Depron or EPS . When bent, it folds over without cracking or splitting, like Depron. Recommended adhesives include Hot-Melt Adhesive ( Hot glue ). The Foam is not CA friendly for Cyano acrylate adhesives should not be used. 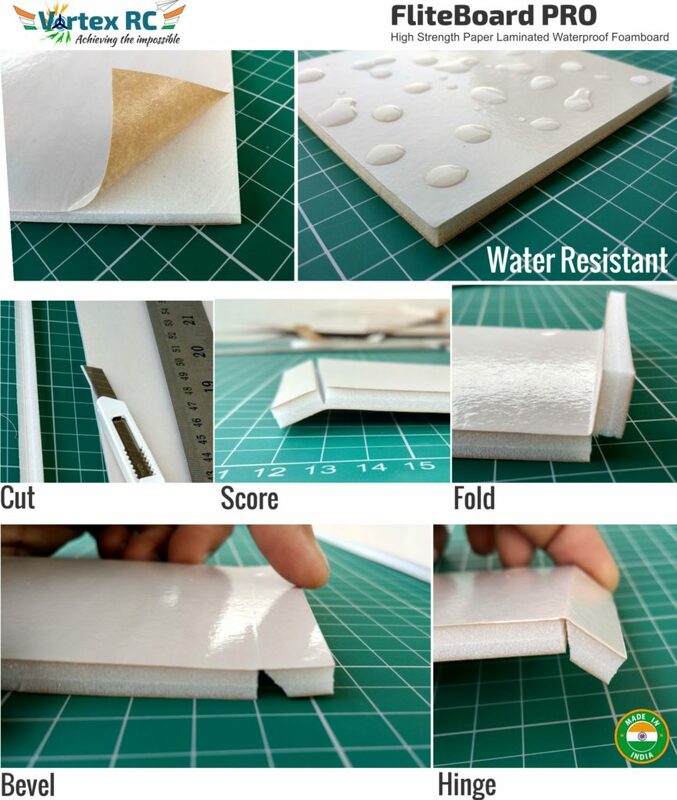 However, if a paper to paper joint has to be made, then CA adhesive can be used, since it is much lighter than Hot Glue. FliteBoard series was made after an extensive research into the subject, and we hope our product will meet, and exceed the expectations of our Indian Radio Controlled RC aeromodellors. All of the boards are made in a state of the art automatic facility with strict quality control. For a head to head comparison between each of The FliteBoard series of products and also with the Dollar Tree foam (DTF) boards, Click here! 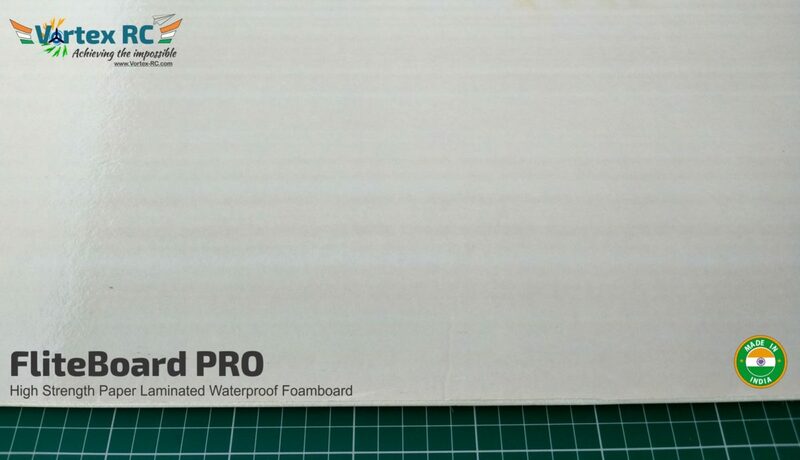 FliteBoard Pro is made up of 3/16″ (5MM) polystyrene (XPS) foam core, laminated on both sides with high quality super strong Poly-coated water resistant virgin Kraft (Kraft, in german means Strength) paper making the Foam Boards lightweight, yet incredible strong and completely water resistant. The paper lamination allows you to cut, score, fold, hinge, sand and bevel easily to build popular RC Radio Controlled models and airplanes where you require a lightweight material that is durable strong and water resistant. 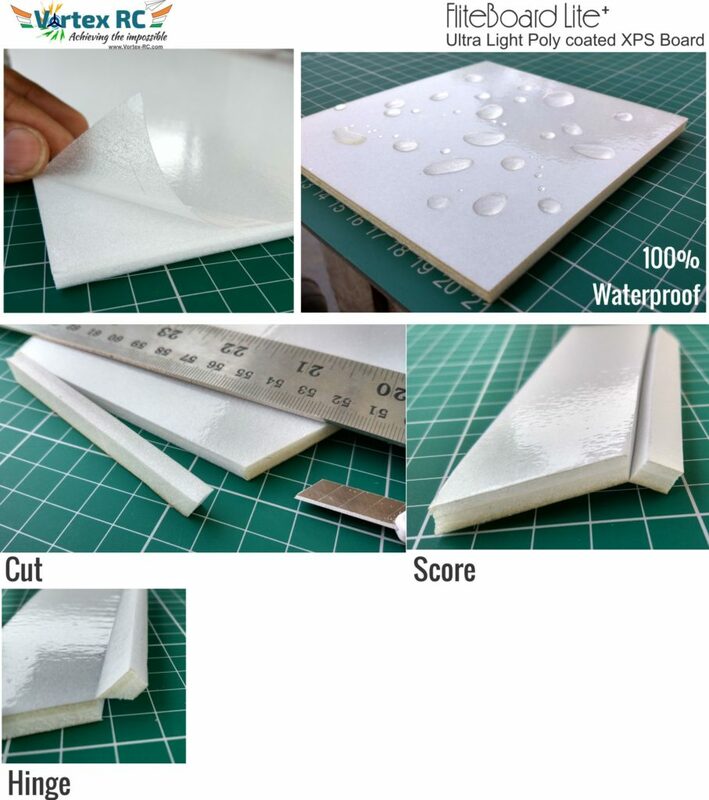 The Polyethylene coating on FliteBoard Pro makes these boards completely water resistant. Bring on the rain, humidity, fog or waterfalls ! 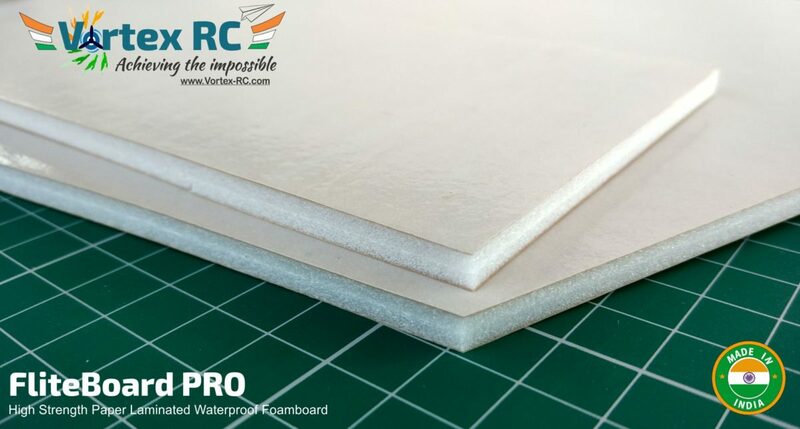 Once the edges are sealed these foam boards can stay infinitely long inside water ! The paper beneath the Poly coating, is high quality extra strong virgin Kraft paper, also known as “Muscle Paper”. The paper coating on both sides of the foam creates a Foam sandwich that makes these boards extremely strong. FliteBoard Pro boards are fawn in colour, and have a medium glossy surface finish. Additionally there is a light, beautiful wood grain horizontal pattern across the boards. The paper is almost the same weight as the XPS foam. The paper, on both sides, is what gives the strength to the board. Strength is achieved due to the foam sandwich construction, paper acting as a stressed skin. The paper used is virgin Kraft : Virgin meaning straight from the trees, ie first use and not recycled. Kraft, in German means strength. Kraft process is a process through which very strong paper is made. Kraft paper has almost pure natural cellulose fibers that gives it high tensile strength, burst strength and resistance to tearing. The paper can be peeled of easily. This can be used to lighten the structure, but also reduces the strength. Also without paper on one side the sheets can have a tendency to warp. 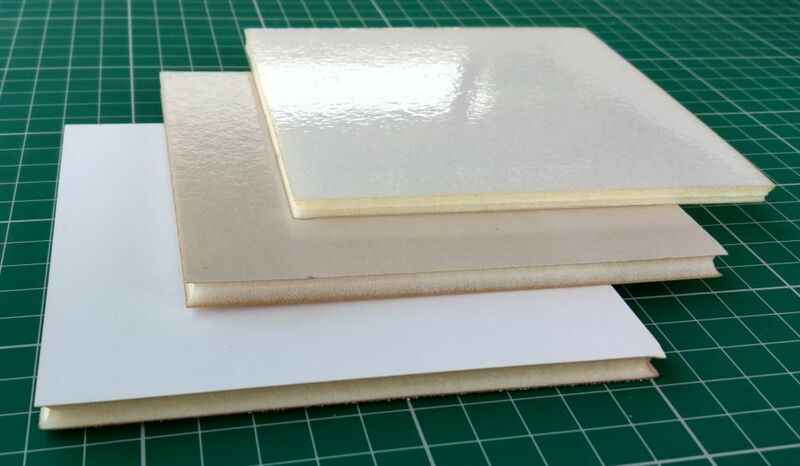 The Polyethylene coating is an extremely thin layer added over the paper to make the foamboards water resistant. Although the Foam is not CA safe, the paper is. CA is much, much lighter than Hot glue. Lighter models fly better, always. Recommend to use CA judiciously where possible, where the foam edges do not come in contact with the adhesive. Sheets at the time of production are not warped and perfectly true. However during packaging and shipping a slight warp may occur, which is easily curable. Material : XPS foam core laminated with virgin Kraft paper with PolyEthylene film on both sides. Water Resistance: Completely water resistant, except side edges which can be sealed with tape during build. 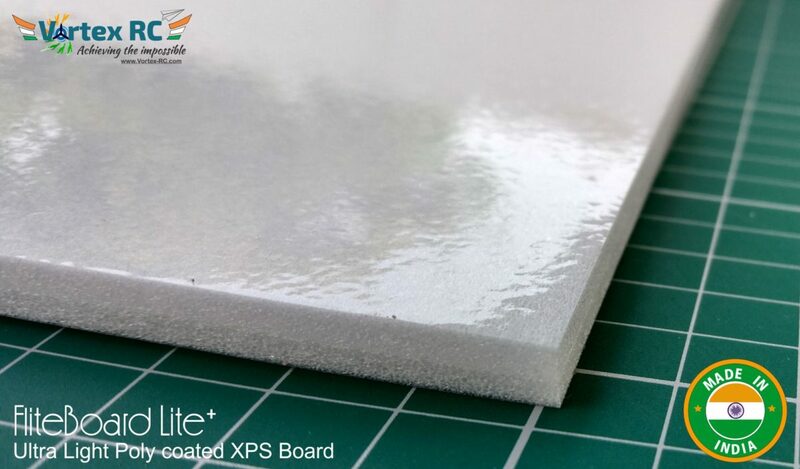 FliteBoard Lite is made up of 3/16″ (5MM) Extruded Polystyrene (XPS) foam core, laminated on both sides with thin, light and clear lamination film. This yields an extremely lightweight water resistant board, that allows you to cut, score, fold, hinge, sand and bevel easily to build popular RC Radio Controlled models and airplane where weight is of utmost importance. For small RC planes, weight is a big concern. Keep your model lightweight, and it will present gentle and easy flying characteristics. Light planes, when they crash, suffer lesser damage too. Make it heavy and it increases the stall speed causing you to fly faster and trust us – small planes, once they are heavy – are simply unflyable. Material : Extruded Polystyrene foam core laminated with Poly Ethylene film on both sides. Water Resistance: Completely water resistant. Fliteboards are going to be available very shortly in 10 and 20 sheet packs. So come on now, gear up for some scratch building now !